Apple has started selling the TomTom Car Kit in the US. 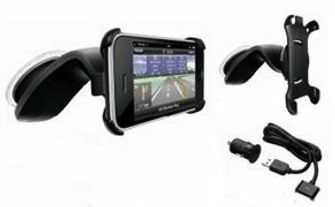 The GPS enhancing, car mounted kit ships in two to three weeks - for free - and is going for $119.95. Kensington has just released a new cradle for your iPhone that passively amplifies the sound from. The device is intended to make it easier to hear spoken driving directions from navigation apps or speaker calls. 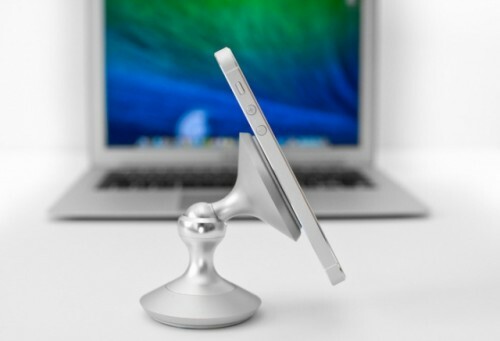 The cradle can support either portrait or landscape mode and has inserts that will allow it to fit any existing iPhones, including the first generation model. Unlike other models, however, this one only has an opening to make room for a charging cable rather than charging the device through the cradle. The Kensington Sound Amplified Cradle should be available some time this November for $40 in Apple retail stores. It will be avaliable in October and will cost less than $60. More advanced model with GPS module might appear later.